Styled with jermaine pant and chalmers sweater . 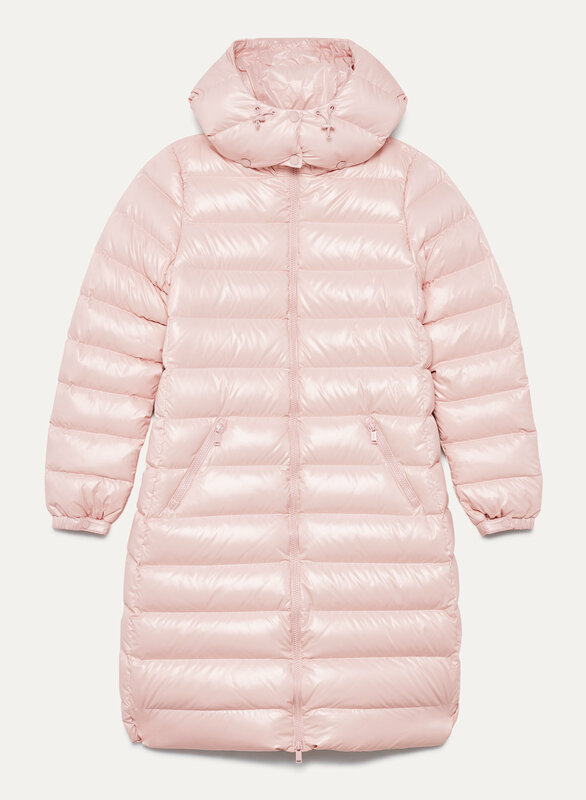 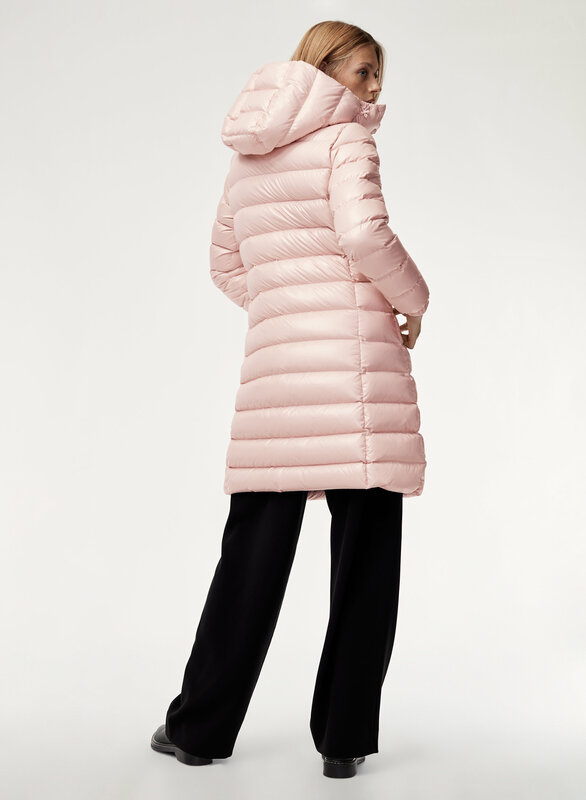 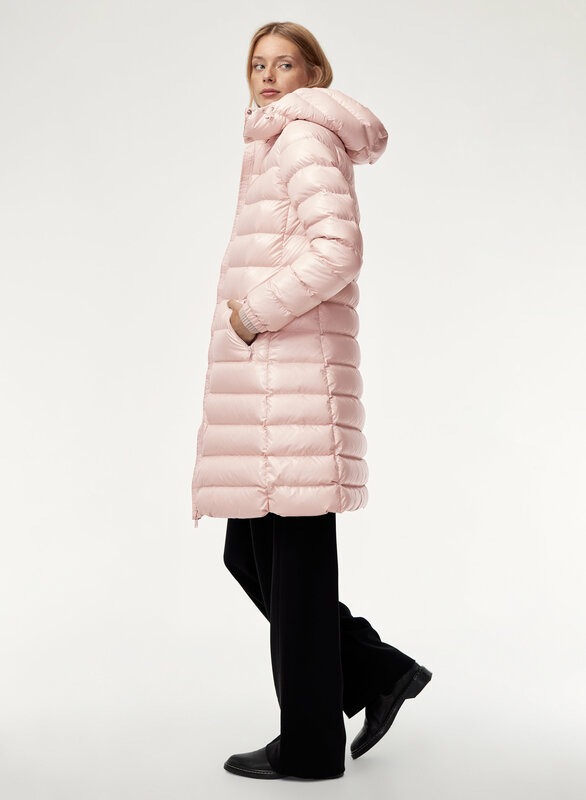 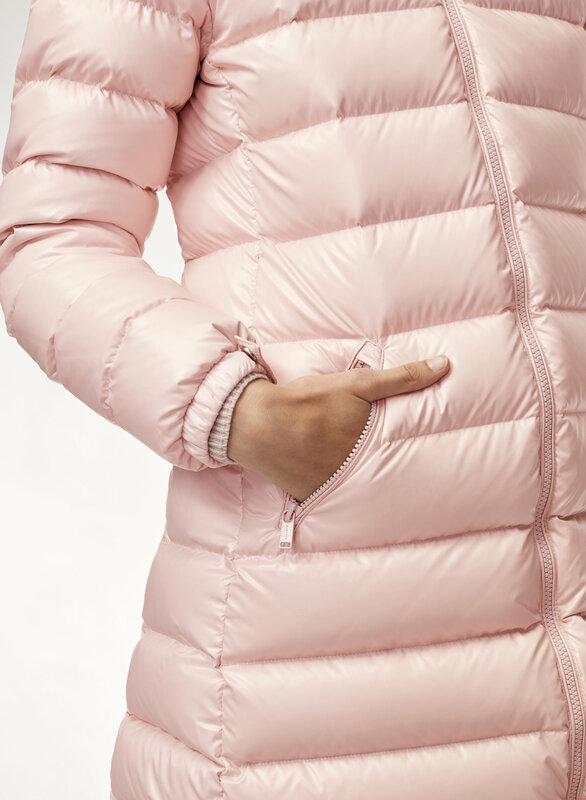 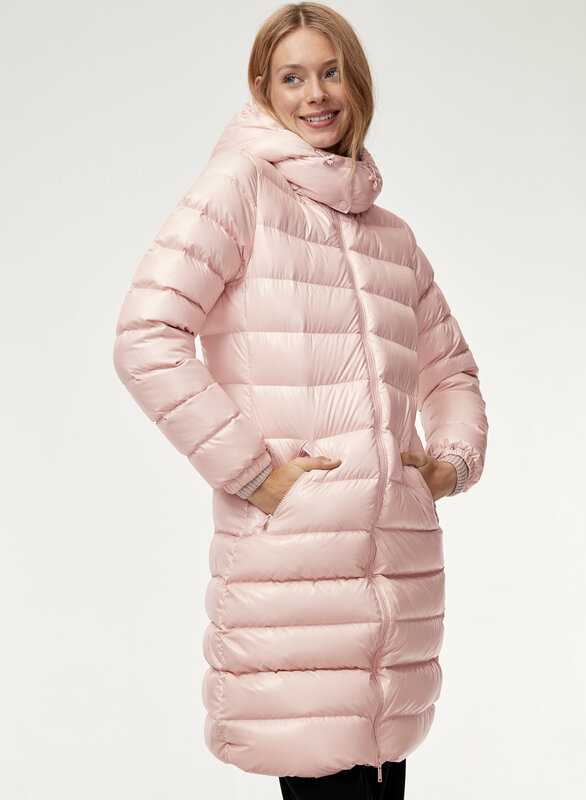 The glam of the hi-gloss Hudson puffer — in a longer length. 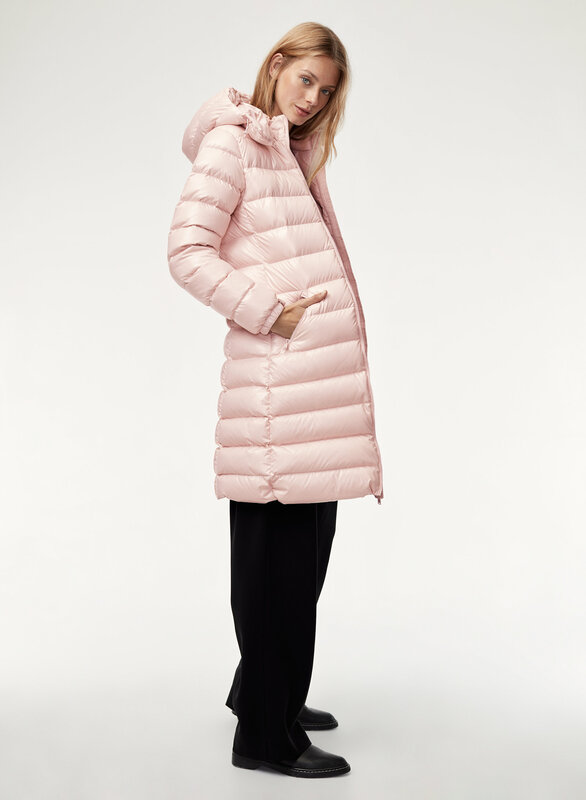 It's water-repellent and windproof on the outside, with 100% responsibly-sourced, 700-fill-power goose down on the inside.